15″ski strap made by Voile with the Altai Skis logo on it. They were orange and are now bright green, so they are easy to find in the snow! 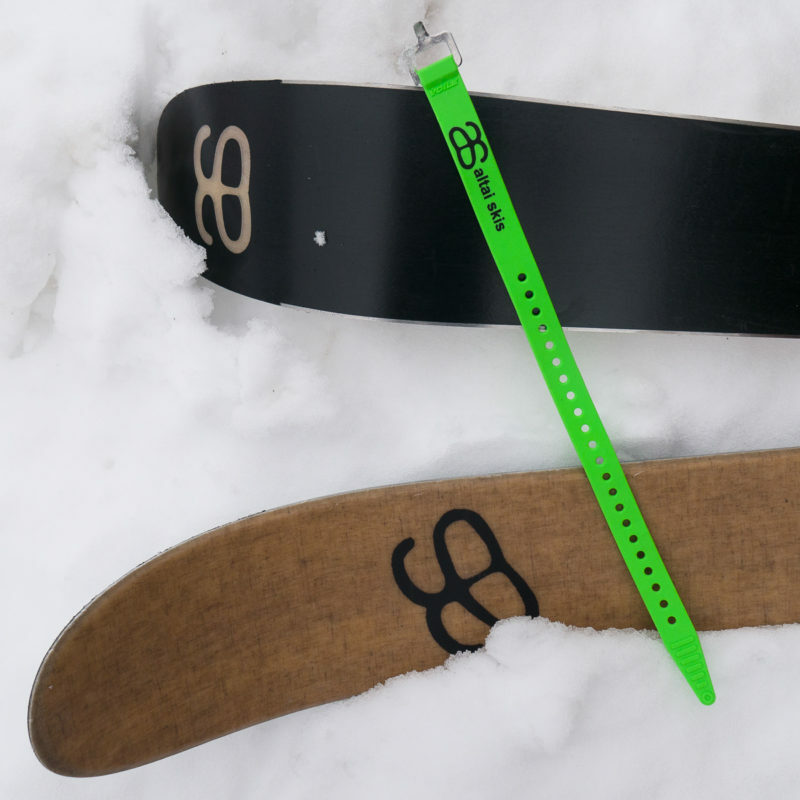 These are the best ski straps going and we keep a few of them in our backcountry kit for all purpose strapping, repair, first aid… they are very handy. Be the first to review “Ski Strap” Click here to cancel reply.